Surely, Mark Zuckerberg’s recent visit to Nigeria would make monumental impact in this country’s technological development and entrepreneurship. But to Linda and I, it offers a chance for us to say “Thanks” to him for being our match-maker. Thank you Mark Zuckerberg because you and Eduardo Saverin co-founded Facebook, an online platform through which my wife and I got connected and got married. You launched this social networking service with Eduardo Saverin, your Harvard University roommate, on February 4, 2004. If Linda and I had not joined Facebook, we wouldn’t have met. We wouldn’t be enjoying the unique peace and well-being that we have known since we got married. Our lovely children wouldn’t be part of our world today. Our in-laws, friends and associates wouldn’t have been part of our lives as a couple. In addition, LinCornellah’s blog wouldn’t be here, if you never conceived Facebook. Without knowing Linda, I accepted her friendship request on Facebook in January 2013. Before I accepted that request, I checked her profile and realized that we had attended the same school, albeit at different times. I attended Federal School of Arts and Science (FEDSAS), Ogoja, towards the late 1980s, while she was among the second batch of students at Federal Science College (FEDSCO), Ogoja, Cross River State. At the time, FEDSAS had been converted to the status of a pure science school in the mid-1990s. The fact of her schooling had caught my attention. However, after accepting her request, I kept writing and posting updates on Facebook as I have always done since I joined the platform. Cornelius: Nigeria 2, Ethiopia 0. Tension-soaked game. Victor Moses converted 2 spot kicks for us. Linda: Oh dear, thank you so much. I’m so happy we made it. I was saved that tension. I can imagine! Sir, it seems I’m the only one who does not know you. I see your Facebook friends address you with a lot of respect and even formality. On my part, I had mistaken you for a Kenyan friend of mine who is your namesake. That is why I had written in Swahili. Thanks for the update though. Cornelius: Sorry for this delayed follow up on our last chat. I hope you are doing well in Kenya. I assume you have Nigerian roots, but only reside in Kenya probably for work or studies. I am impressed by the fact that you are still passionate about our country. You mentioned how some of my friends seem to respect me. I respect them too and thank God for his grace on me. I wish you happy valentine and God’s mercies. Linda: Thank you Sir. Yes, I’ve been here for studies. I am done now but still hanging around. I dread going home and not finding work, except of course one begins a business. As a woman too, I may also be able to stay here as a wife, if it ever happens. Lol. But at the moment, I am watching out for full scholarship for a Masters this year. I really need that. Cornelius: I fully share your concern about the unemployment situation in our country. It is tough here. I think you should enrol for a Master’s degree and obtain it to boost your profile for good employment. Sorry to get a bit personal here: Are you unmarried? Anyway, follow your heart and be a wife to the right man, regardless of his race or nationality. God would see you through. At the time of the above conversation, Linda’s name on Facebook was Chikodinaka Asimole. These were her middle name and surname, respectively. Linda lost her dad, Chief Augustine Ihenacho Asimole (May his soul rest in peace), a few months after the above conversation, precisely on May 24, 2013. Linda returned to Nigeria for the funeral, but she contacted me only after the burial had passed. We exchanged telephone numbers and kept communicating through phone calls and Whatsapp. Although we were both aware of how some people use Facebook for mischief, we never doubted each other’s sincerity. For instance, we had fresh memories of how one Cynthia Osokogu was lured to Lagos by her Facebook “friends” and got killed by the same young men. However, this did not deter us from sustaining our getting-to-know-you conversations and plans to meet face-to-face. Thus, I invited her to pay me a visit in Calabar where I live. She had never visited this city, but was willing to make the trip. She arrived in Calabar on August 15, 2013. The moment I saw her, I knew I had met my wife. There has been no going back since then. We gradually graduated from “Facebook friends” to real life Sweethearts. In appreciation of what was transpiring between us after that first meeting, Linda sent the following message to me on Facebook. Linda: My Love, I decided to come to this platform where we first met months back. You owe me for follow up on our conversations. You were laid back at first not knowing you were talking with a possible wife. But I must say, from the moment you got my number, you have never looked back. Unfortunately, none of us have those Whatsapp chats anymore. It is well. Thank you my darling for the person you are to me already and will be to our children. I thank God for Facebook which brought us together and for a school mate whose name, Cornelius, made me mistake you for him and which drew my attention to you. Of course, I thank God for the FEDSCO Facebook page which introduced us to each other. The highest thanks and praise goes to God. May God bless us and our loved ones and may He guide our going and our coming. Amen. Can you notice that she had stopped addressing me as “Sir”? Love had started flowing! In November 2013, I went to see Linda’s relatives. This meant travelling to various states across the country. That same month, I went to see her immediate family for a formal introduction. Our traditional and church wedding ceremonies both took place in Owerri and Aboh Mbaise, Imo State, on June 21st, 2014. Apart from our marriage, Facebook has blessed us with several friends. We have also found and renewed contacts with school mates and old-time friends via Facebook. 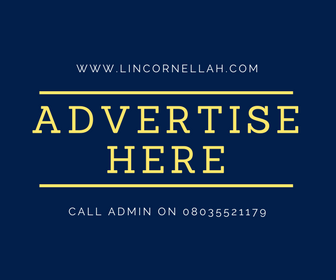 Our blog – LinCornellah’s blog – is also getting a boost from Facebook. However, we need to mention that we didn’t join Facebook in order to get married. We joined it for fun, connections and enlightenment. God has used it to bless us; our fun has increased through it. We pray to God every day. We pray that God will continue to bless Mark Zuckerberg. We pray that God continues to bless our friends, relatives and associates too. Has God also blessed you in any way through Facebook? Please share your Facebook blessings with us and with the rest of the world. This story is very inspiring. U r a living proof of one of the positive attributes of Facebook. I’m imagining who would have been your spouse without Facebook! I imagine too, and have no idea. Life is just so interesting and can be exciting too, if seen as an adventure. However, we make the most and the best of whatever we have, while striving to improve one’s self. Wow! Beautiful love story. God sure works in mysterious ways. Bringing you two together in this manner is marvelous in our sight. Facebook rocks. God bless Mark Zuckerberg! This is a true love story that is touches the heart. I wish both of you an awesome married life that last till eternity. Am so short of words sir,your story is captivating and inspiring. May your marriage continue to soar higher and higher. Thanks, Nyce. God bless you. I love this story. . .Sir u’ve really been blessed…meeting such a beautiful and humble wife on facebook is actually a blessing. God be praised! Grace, thanks a lot. May God bless you always. I can’t stop reading this inspiring story.